Champagne is a variety of sparkling (or carbonated) wine produced in the Champagne region of ​France. Champagne is typically produced from a few specific varieties of grapes, including Pinot noir, Chardonnay and Pinot Meunier. Although these grapes are not all white, champagne is typically a white wine due to extraction methods that minimize contact between the juice and skin. Pink champagnes derive their color from either longer contact between skin and juice or the addition of a small amount of red wine back into the champagne. What Sparkling Wine Can Be Called Champagne? Most countries restrict the use of the term Champagne to only those sparkling wines produced in the Champagne region of France. In Europe, this is enforced by the European Union under the Protected Designation of Origin status. Because of this, sparkling wines from other European countries are sold under other names such as Prosecco (Italy), Cava (Spain), Sekt (Germany and Austria), and Spumante or Asti Spumante (Italy). How Does Champagne Get Those Bubbles? To produce Champagne’s unique bubbles, the wine undergoes a secondary fermentation process within the bottle. After bottling the wine, a few grains of yeast (usually Saccharomyces cerevisiae) and a small amount of sugar are added to the bottle to begin ​ the second round of fermentation. The gasses produced during this second fermentation become trapped within the bottle and create the sparkling or carbonated effect. 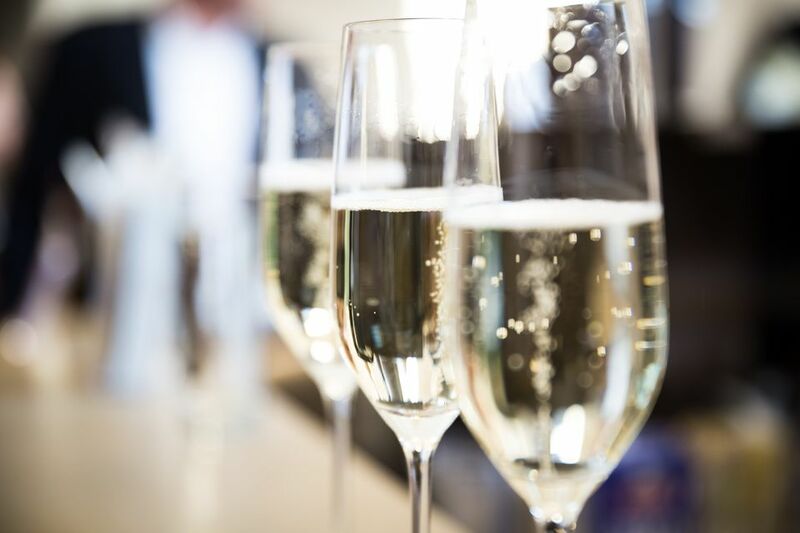 To produce a constant flow of bubbles in poured Champagne, most Champagne flutes are etched to produce a source of “nucleation” where bubbles can form. To prevent excessive loss of carbonation before drinking, Champagne should be carefully poured down the side of the flute, rather than straight into the glass. Brut Nature: Little or no sugar is added during the second fermentation. Wines with this label may have up to three grams of sugar added per liter. Extra Brut: Slightly sweeter than Brut Nature, this wine may have up to six grams of sugar added per liter. Brut: Typically still considered a fairly dry Champagne, Brut may contain up to 12 grams of sugar per liter. Extra Dry, Extra Sec, Extra Seco: Wines that bear this label contain between 12 and 17 grams of sugar per liter. Dry, Sec, Seco: Although it is labeled as “dry,” Seco is considerably sweeter than Brut and may contain between 17 and 32 grams of sugar per liter. Demi-Sec, Demi-Seco: Reaching into the sweeter end of the Champagne spectrum, Demi-Sec contains between 32 to 50 grams of sugar per liter. Doux, Sweet, Dulce: The sweetest of Champagnes, bottles labeled with any of these three names contain 50 or more grams of sugar per liter.